Just one location in the U.S. produces the vast majority of the stainless-steel equipment used in the beverage and food processing, pharmaceutical, dairy and chemicals industries. It's Southwest Missouri — the Springfield area, specifically. You won't find another region with so many manufacturers of components and containers used in commercial kitchens, dairy farms, laboratories and breweries anywhere. More than 30 companies are active in the stainless-steel business in greater Springfield, employing a combined workforce of about 3,000. Why Springfield? Because that's where Paul Mueller opened his heating and sheet metal business in 1940. The rest is history. "Stainless steel fabrication and craftsmanship became dominant in Springfield shortly after WWII when dairy farmers were required to store their milk in refrigerated stainless-steel tanks," explains Greg Herren, general manager of Multi-Craft Contractors, a provider of electrical, mechanical, sheet metal and other specialized services in Springfield. "Already having experience building stainless steel poultry containers, the Paul Mueller Company joined in with 60-plus other companies around the world and began building what is known as the stainless-steel, refrigerated milk cooler. Mueller became very successful and grew rapidly in Springfield, becoming one of the largest employers in the region." In the following decades, says Herren, many Mueller employees left to start their own stainless-steel fabrication companies in Springfield. As these companies became successful, other support companies came into existence that specialized in polishing, forming and production of stainless steel subassemblies and component parts — manways, tank heads and shells and specialized fittings, for example. "We may be a little biased, but it truly is because of Paul Mueller," says Denise Silvey, human resources manager at Paul Mueller Company. "He was the original stainless-steel fabricator in Springfield, Missouri. His hard work and innovation, and that of his employees, spurred a whole new crop of stainless steel fabricators in the region and set the foundation for an ongoing workforce of metal manufacturing." The original building was 27,000 square feet on a three-acre lot. The company today occupies 1 million square feet on a 50-acre site. It employs about 1,000 people at facilities in Iowa, the Netherlands, Vietnam and Springfield. Tank Components Industries (TCI), a manufacturer of stainless steel and nickel alloy components for metal fabricators, is a more recent addition to Springfield's stainless-steel cluster. "It was founded in February 2000 by six employees from a local tank fabricator that is no longer in existence and has grown to over 85 employees running two shifts," says Jason Floyd, president. "Since inception, we have moved three times due to growth, choosing to stay in Springfield." It's where the workers for this industry are in abundance, after all. "The concentration of metal fabricators provides a strong labor force for this industry — the depth of talent and skill level far surpasses that of other industries in the area," says Floyd. "In fact, such a strong manufacturing history has created a significant amount of industry-based trade schools. I believe retention comes down to treating employees with respect, providing benefits and a safe, clean working environment, while maintaining an open-book management style." An argument could be made that so many companies in the same business in the same location can increase labor costs and churn as workers seek better opportunities across the street. In fact, it means a better-stocked labor pond for all involved. 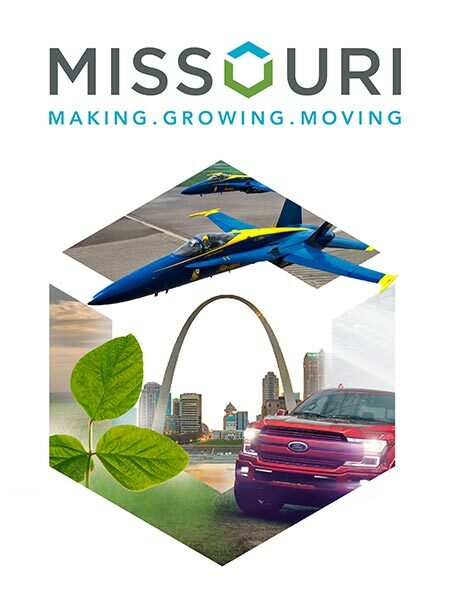 "This area is often referred to as the stainless-steel manufacturing capital of the world — because of the industry's size and long history in Springfield, there are many skilled workers and the success builds on itself," says Joe Reynolds, president of CSI (Central States Industrial), which moved its headquarters from Jefferson City to Springfield in 1984. "The community actively supports the industry as well as the manufacturing industry at large — from training programs at the local community college designed specifically for stainless steel, to the GO CAPS program that introduces manufacturing and engineering careers to high school students through an intensive program, to community-developed marketing efforts that focus on stainless steel career paths and target high school students."